A time to recognize, reflect, and pay our respects as a community. 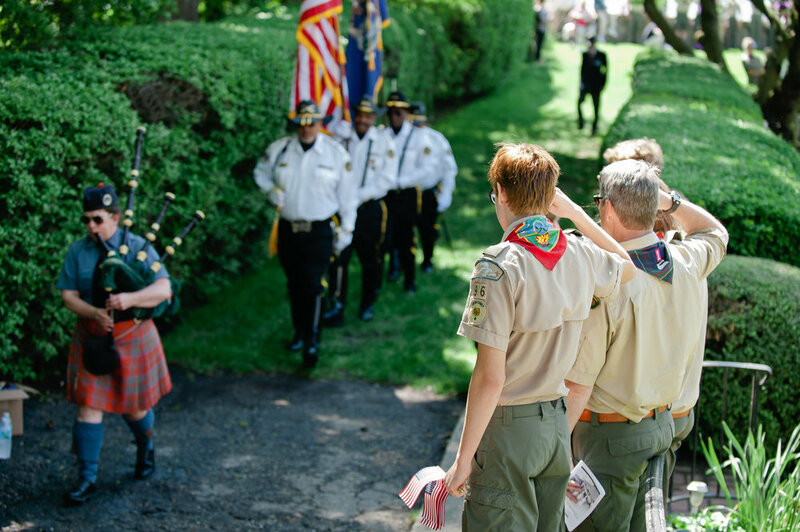 The War Memorial is setting aside an entire week to honor our community’s veterans, military service members, and their families with special programs and events leading up to Memorial Day. Our Community Salutes is a national non-profit organization created to recognize and celebrate high school students who are enlisting in the armed services after graduation. An Evening of Red, White and Blue is The War Memorial’s premiere gala event, during which we honor our heroes and raise funds in support of The Patriot Initiative. This moving ceremony takes place on the lakefront lawn of The War Memorial as we honor and remember those who have given the ultimate sacrifice in service to our country. Watch the Live Inspired Productions video.